Cruising from Seattle is a little confusing if you’re a first-timer. That’s because the port’s location among the city’s downtown mean navigating a web of streets to get to your ship. 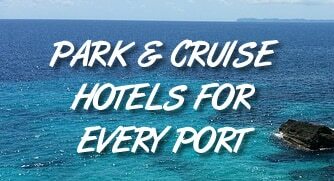 In addition, cruising is out of two separate ports, located about two miles from each other. Pier 66 is the southern port, servicing Norwegian and Oceania lines. Pier 91 is the northern port, and it’s where you’ll head for cruises about Carnival, Celebrity, Princess, Holland America, and Royal Caribbean. Here’s a map to give you a better idea of where the ports are located in relation to the city. The ports are located about 15 miles from the Seattle-Tacoma International Airport.